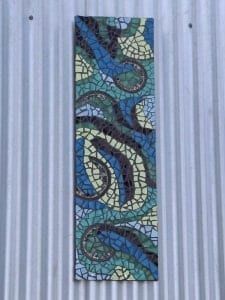 Martin Bass is Sydney – based and is a part time mosaic artist / sculptor. He learned mosaicking from an artist friend and chose to smash old and antique household ceramics as a means to preserve them in a different form. He also enjoys the continuous op shop hunt for good materials.